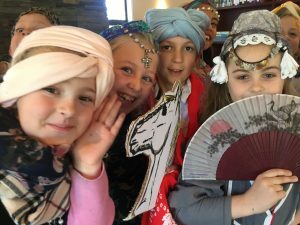 The Year 4 Students have been learning about the Ottoman Empire. 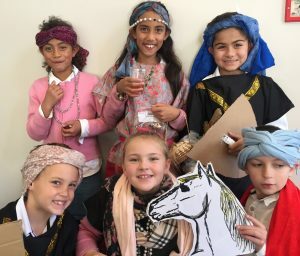 Here are some of our students enjoying Ottoman Day, dressing up in turbans, making swords, shields and ‘horses’. We also had a market scene where we bartered and sample some typical fare.